As a frequent visitor to Walt Disney World, I’m also a frequent visitor to Orlando International Airport (MCO for those in the know). On some trips, I’ve spent more time at the airport than I have on park attractions, or in my hotel room. Here are a few tips to make Orlando International a better place to be, whether you’re zipping through or whether you’re hunkered down for hours due to flight delays. There’s no gum at the airport. You can get some last minute souvenirs at the airport. Disney has two official merchandise stores in the main MCO terminal building. SeaWorld, Universal Studios, and the Kennedy Space Center each have one. The selections are not extensive, but if you forgot to get your dog walker a thank you gift, this is a good place for a spur-of-the-moment save. 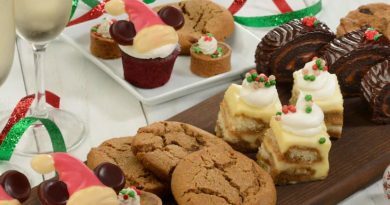 You can get Harry Potter treats without a wait. The wait at the shops at Universal’s Wizarding World of Harry Potter can be positively otherworldly. The airport Universal shop stocks many Harry Potter items such as tees, wands, some Honeydukes brand candies, and Zonko’s oddities, and there’s rarely any wait. There’s an arcade to keep the little ones busy. 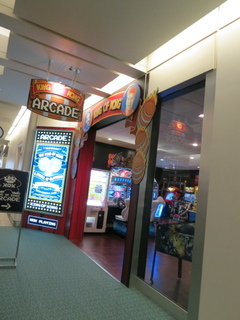 Look for the King Kong arcade in the main terminal. There’s free wireless throughout the public areas. The former paid Internet kiosks are now inoperable. There’s no gum anywhere. While chewing gum is an ear-popping remedy for many air travelers, you won’t find gum at MCO. Similarly, you won’t find gum at the area theme parks. It’s all part of an effort to help keep the parks clean, which I appreciate, but it can be frustrating at the airport. Bring a stash from home. MCO has an arcade to occupy the kiddos. 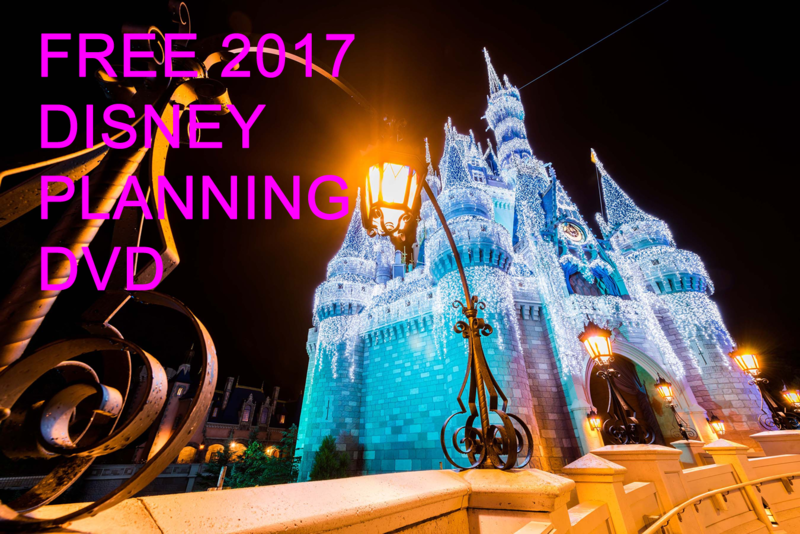 You may have to walk to get to Disney’s free bus transportation. Disney’s Free Magical Express bus service is located only on the B side of the main terminal building. If you’re using an airline with gates on the A side of the terminal, you’ll have go through the main building and over to the other side to get your bus. The airlines which use the A side are: AeroMexico, Air Canada, Air Transat, Alaska Airlines, American, AviancaTaca, CanJet, Caribbean, Copa, Gol, JetBlue, LAN, Southwest, SunWing, TAM, Virgin Atlantic, Virgin America, Volaris, and WestJest. Everything else (notably Delta) is on the B side. Look around for the best security line. There are two entrances to the security areas to get to the gates. Not surprisingly, the security line closer to the B side of the terminal is often more crowded because this is what the zillions of guests coming off the Magical Express buses first encounter. Try walking around the corner to the security line closer to the A side of the terminal; this is often shorter. The security lines at MCO are notoriously long. I routinely wait longer at the MCO security area than at any other airport in the country, including the major New York City airports near my home. There is simply not enough capacity to handle the crowds on site. Do not cut it close with your departure time; always allow at least a half hour more than you think you should to get through the line. Companion restrooms are available. There are four companion restrooms in the main terminal building and one in each of the four gate area building. The gate area companion restrooms are in the central core, not in the gate spokes themselves. Disney’s Magical Express is located on the B side of the airport. If you fly into the A side, you’ll have to cross the main terminal to get there. They’re stingy with the charging stations. There are a few charging stations at MCO, located primarily in the gate areas. 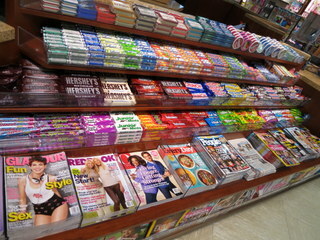 However, these are far less plentiful than at many other major airports. I was a hero during my last sojourn at Orlando International because I had brought a six outlet power strip with me and was willing to share it with other battery-challenged travlers. There’s a hotel on site. A Hyatt regency is located directly inside the main terminal building. This is a popular overnight location for guests who are arriving late, departing early, arriving the night before a cruise at Port Canaveral, or stranded without a flight due to weather issues. Despite the Hyatt brand, the rates here may be cheaper than spending a first or last night on Disney property. The direct phone number is 407-825-1234. It’s worth programming that into your cell if you find yourself with the possibility of an unexpected overnight at the airport. The stores have shorter hours than the airport itself. Some of the shops at the airport close relatively early (like 6:00 or 7:00 p.m.), especially on Sundays. If you think you might need something mission critical (diapers, etc.) don’t wait until the last minute; buy when the shops are open. The clinic is closed. The hyper-convenient Solantic walk-in medical clinic closed in 2012. There are emergency paramedics on site, but there is no longer a layover spot for general medical care. There’s an airport lost and found. If the airline loses your luggage, then deal with the airline. But if you lose something while you’re in the airport itself, contact MCO Lost & Found at 407-825-2111 or email lostandfound@goaa.org. Airport Wireless is a good source for replacement chargers or headphones. There are plenty of business services. You’ll find a currency exchange, full service post office, and full service SunTrust bank all located in the main terminal. Again, hours may be limited. There’s a place to pray. Like many airports, MCO has a non-denominational chapel available for reflection or prayer. The chapel is located past the security checkpoint for gates 1-59. You need a boarding pass to enter this area, which means that the chapel can not be accessed by folks just there to pick up fliers or by guests of the Hyatt who are not traveling that day. No smoking is allowed. 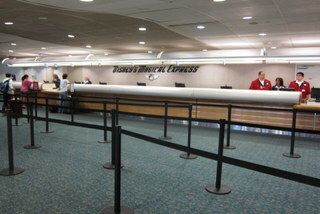 MCO has been a smoke free facility since 2003. You can rent a cellphone at the airport. 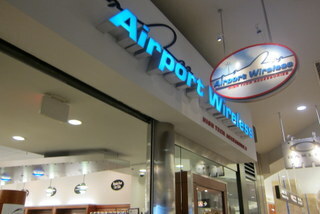 The store Airport Wireless, located in the main terminal, offers cellphone rentals, a nice resource for international travelers looking for some U.S. connectivity. Call 407-582-0500 for more information. Airport Wireless also stocks a full range of phone and tablet chargers, in case you forgot yours at the hotel (I know I did). There’s plenty to eat, but not everything is accessible to all travelers. For example, there’s a McDonald’s in the main terminal, and one in the A side gate building, but none in the B side gate building. If you see something you’re dying to eat, get it while you can. There are many rental car options. If you’ve decide to rent a car for your Orlando vacation, you may want to look beyond the big names. You’ll find that in addition to the usual suspects (Avis, Hertz, National, Alamo, Budget), some smaller rental car companies (Thrifty, Dollar, Enterprise, E-Z Rent-A-Car, L&M Car Rental) have desks and lots directly at the airport. Often the smaller companies have cheaper rates. And yes, I have personally rented from both E-Z and L&M, and they are for real. So fellow terminal dwellers, what are your tips and tricks for dealing with Orlando International? Have you been able to find what you needed? Was there something you wished they had? Let us know in the comments below. I love this article! After reading the same variation of the same topic on many sites this was refreshing and informative. Great idea and great info. Thanks! The Hyatt night is a great savings especially when you sign up for the Hyatt visa giving you two free nights. Woke up and jumped in the express in the am! Thanks for the info! This will be our first time flying into MCO in 8 years and the first time using DME so this information is good to know. WOW! Great article, airports are obviously a big part of a WDW vacation and the intricacies of making the best of that part of the trip are often overlooked. Also – you just saved me a TON on my rental car! EZ Rental had the lowest rates I’ve seen in a long time. One other point about the Hyatt we discovered when we had a 7 hour flight delay – they offer a day rate for a room. Instead of waiting in the terminal, we had a room with a television and balcony to entertain the kids, two beds for napping, and a bathroom of our own. The room was available in the morning, and we left at 5pm to head to our flight. The rate was reasonable, and made for a relaxing day instead of a frustrating delay. Great article! Normally we make the 8 hour drive, but with the $49 sale some airlines are having its cheaper to fly. I have been really nervous about what to expect as this will be the first time we will fly with our 4 year old. Is it common for people to take their strollers to the gate? Strollers are incredibly common in the gate areas. Nearly every flight in or out of Orlando will have a dozen families with strollers in the gate area. My kids are teens now, but I actually miss having a stroller at the airport because it was so convenient for carrying extra gear. It’s very easy to gate check a stroller. You should be able to roll it right up to the plane & then hand it off to an airline employee with no problem. Your other option is the food court in the main terminal. you have to leave enough time to be sure you do get through security in time for your flight! and you can’t take any of the drinks you purchase with you onto the plane (you would have to finish any of those drinks before going through security, or toss them). Also, we finally found some outlets for our chargers next to a bench in the central area PAST security and PRIOR to going to your gate. Look at the base of the pillars in that central area in the middle – between the food options. You know the vacation is over and your back in the real world when your unused Soarin’ FastPass tickets do NOT allow you to get to the front of the Airport Security line. And your wife will NOT think you’re funny when you ask about it. Heavy sigh!! Everyone is so Grumpy going back home. Did I miss someone where there are skycaps or the carts you can rent? (I know I can get both on the way OUT of MCO, where ME drops everyone off.) Surely there must be some easier way to get the luggage to the other side of the terminal? The MCO is amazing airport and I can never read enough about it. Just one note. It’s not a “King Kong” arcade, it’s actually a “King of Kong” arcade – a tribute to a documentary about high level Donkey Kong players. There’s even merchandise you can buy inside featuring Billy Mitchell and Steve Weibe, two of the players featuring in the movie. Glad to hear about EZ rental cars. We are renting from them next week. We are renting for 2 weeks and their prices are half of what most of the other companies are. Has anyone had any issues with them? This was a great read! I fly into and out of MCO a few times a year and you taught me a few new things! This will be great to pass onto friends traveling through there for the first time! No gum you say? There is also NO black licorice. I’ve searched and asked and they’ve all said there is NO black licorice in the entire airport. But they do get lots of requests. I will bring my own from home. It’s the only candy I really like, and in case anyone else is a fan, just so you know. Gotta bring your own. Appreciate various other excellent article. The place in addition may possibly everyone get that form of details in this excellent way of writing? I get a speech future 1 week, using this program . with the try to find such information and facts. To the best of my knowledge, there are no restrooms between security and the monorail tram that takes you to the gate areas. There are plenty of restrooms before security in the main terminal as well as in the gate areas. The tram ride itself takes only about 2 minutes. First of all, thanks for putting this on the web, very informative! I’ll be landing at MCO at the end of May, coming in on Southwest Airlines (2pm) & I’ll be staying at the Hyatt, and using Payless car rental. At first I had a rental thru E-Z, then found it cheaper while I was still planning and found the lowest rate thru AAA & Kayak. I have several questions. I’ll be with my mom, who is almost 75, & 2 others. My mom has never flown & I’ve never been to MCO. I’ll be arriving somewhere at gates 100-129 & the Hyatt is at the same end. Can you tell me approximately how long it will be from the time the plane lands, we get the luggage, & check in at the Hyatt? Also flying home, our plane leaves at 8:55am on a Saturday morning, is that a busy time? & what time would you suggest we get to the airport? Another question that I’m curious about is, how long (in miles) is the inside of the airport? I’d like to explore it, because I don’t pick up my rental car until 1pm the day after I arrive, so I will have a little bit of time to do so.